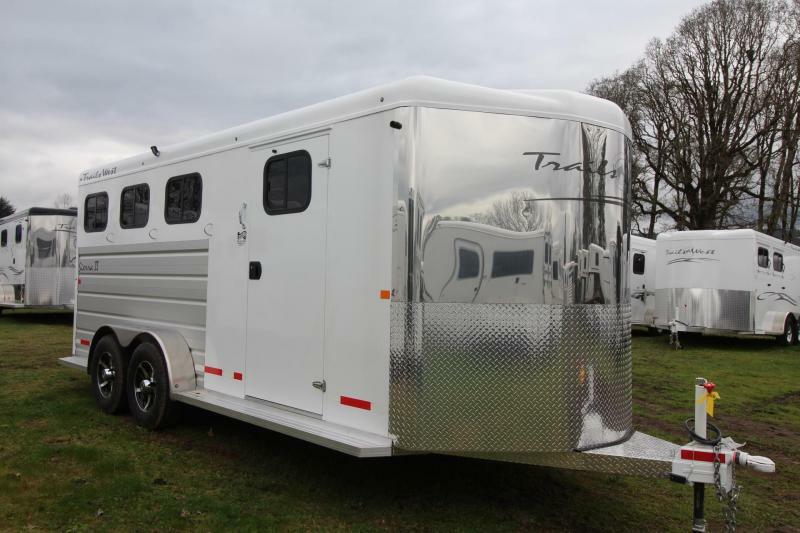 More than just an ordinary horse trailer, a Trails West trailer is built to last a lifetime. 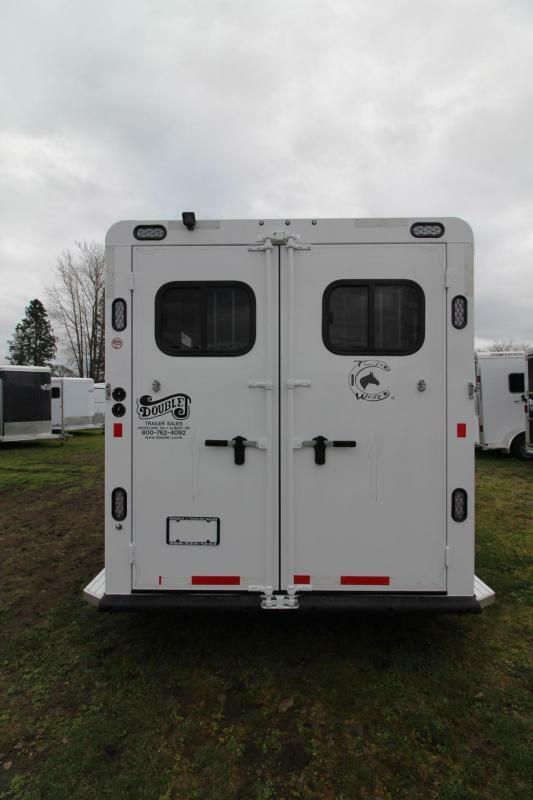 Their hybrid construction process is designed to keep your horses safe. 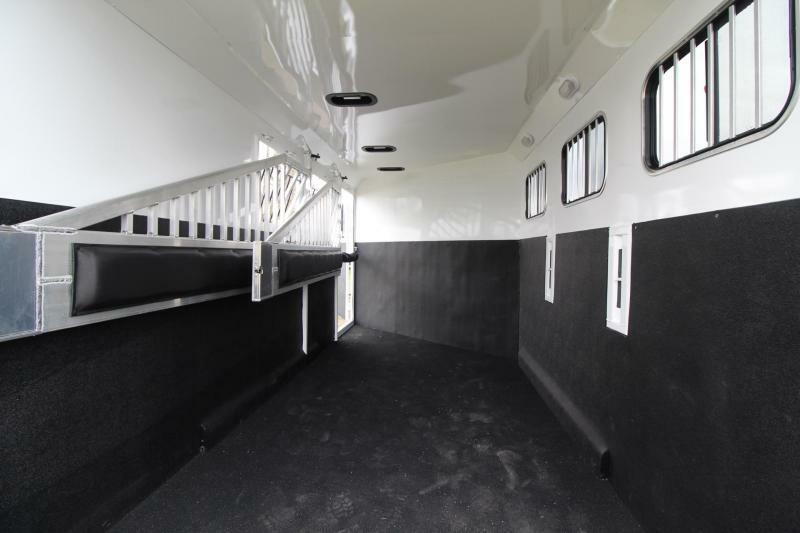 The wood floors mean less heat transfer from the hot road surfaces which keeps your horse comfortable. 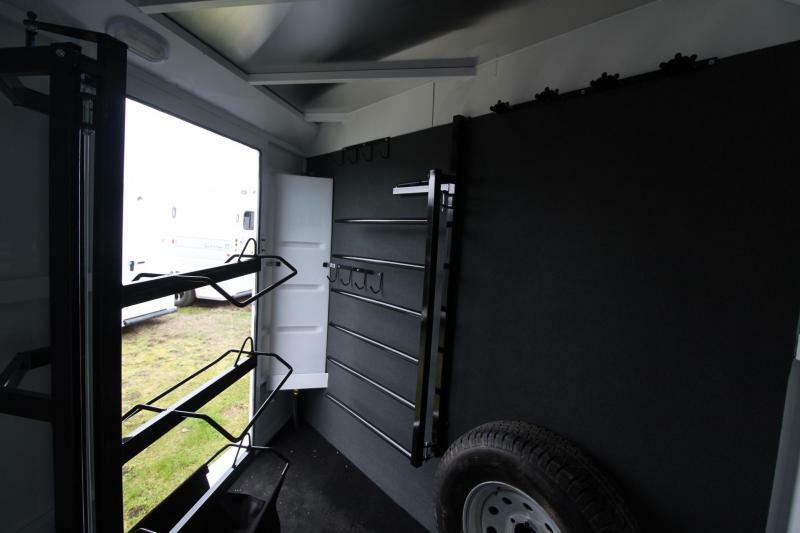 Every single option on each trailer is thought out and built with efficiency to pass the cost savings on to you. 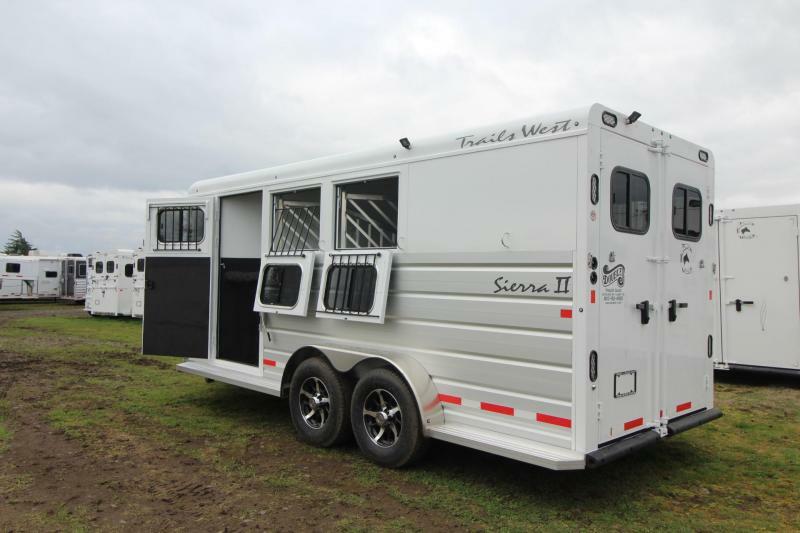 These are just a few of the things you can count on when buying a horse trailer from Trails West. 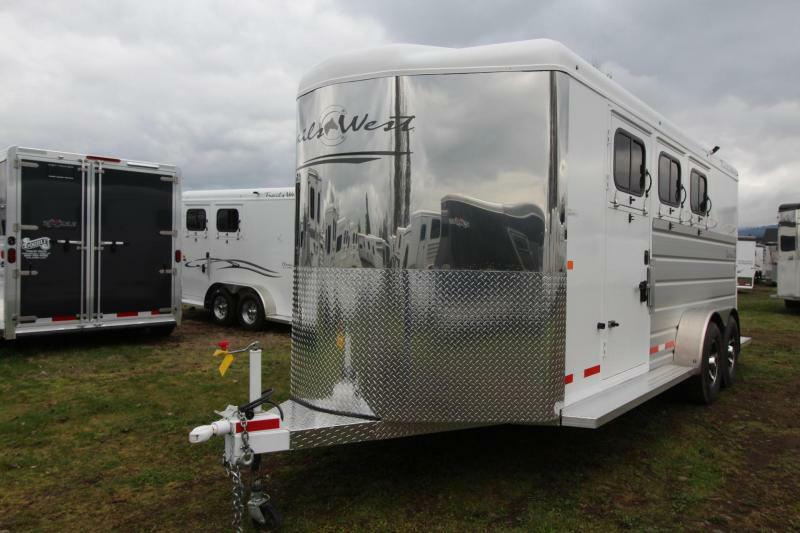 The Sierra II is our flagship model. 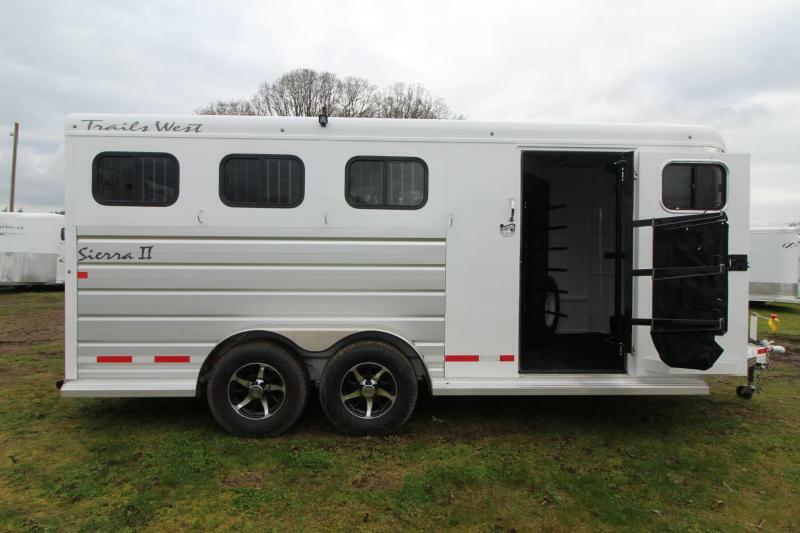 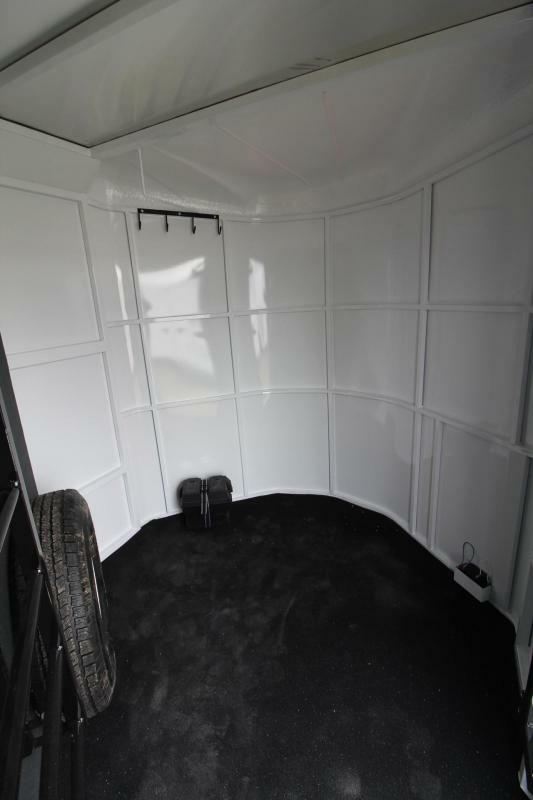 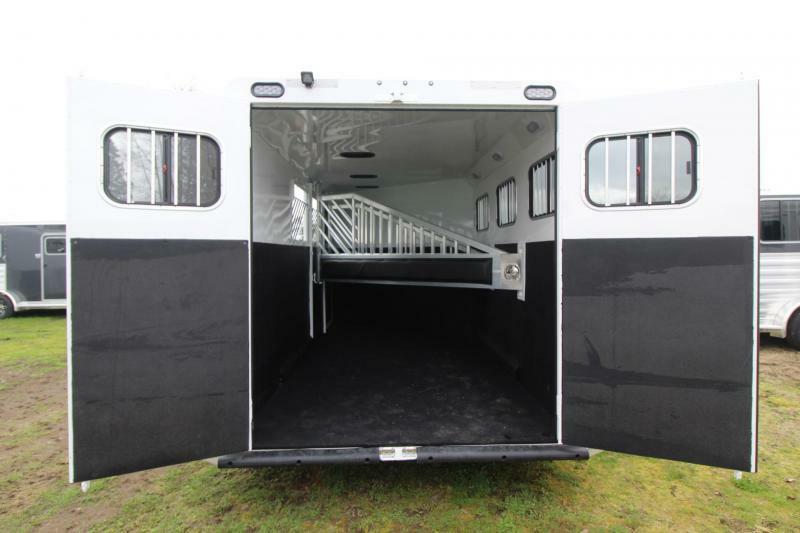 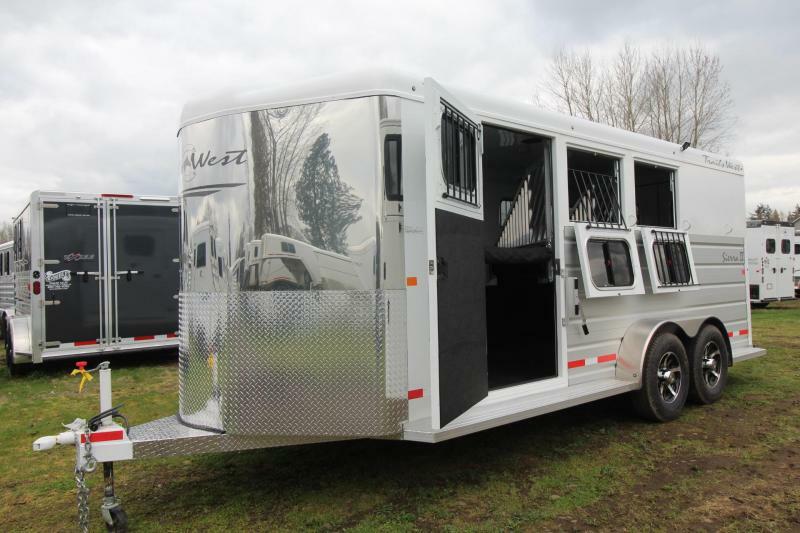 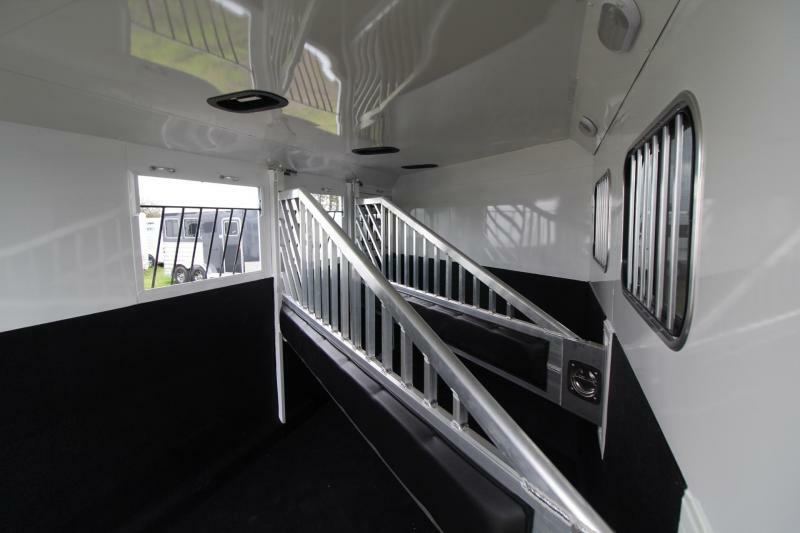 It is loaded with standard features such as aluminum wheels, anodized aluminum exterior extrusion, stainless steel front and fully lined and insulated horse compartment. 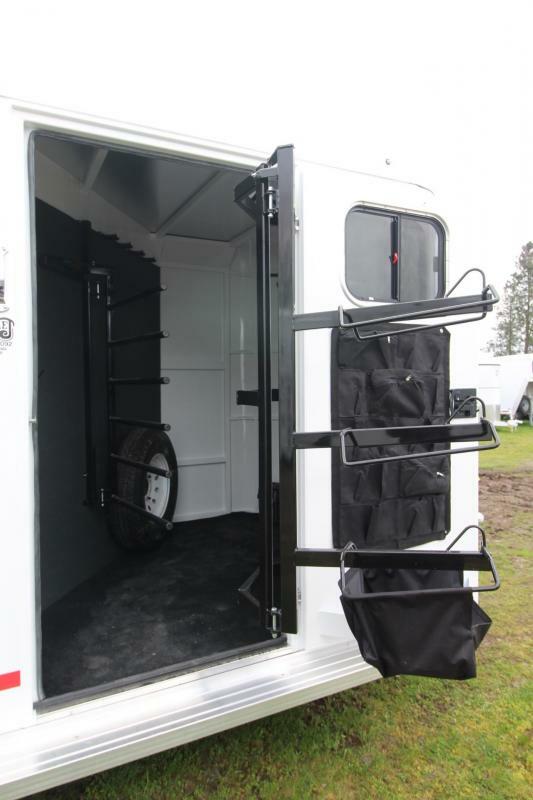 A fully carpeted angle wall in the tack room allows you to hang plenty of tack without scratching the wall. 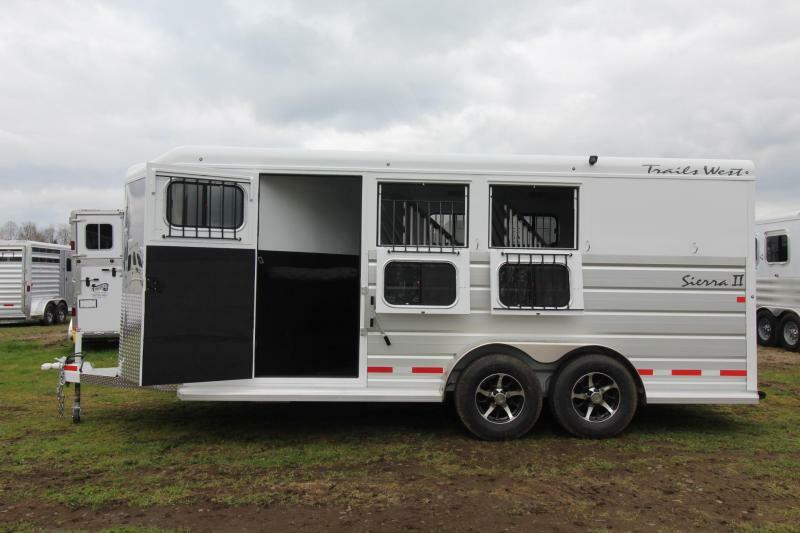 This is the trailer that serious equine enthusiasts are looking for. 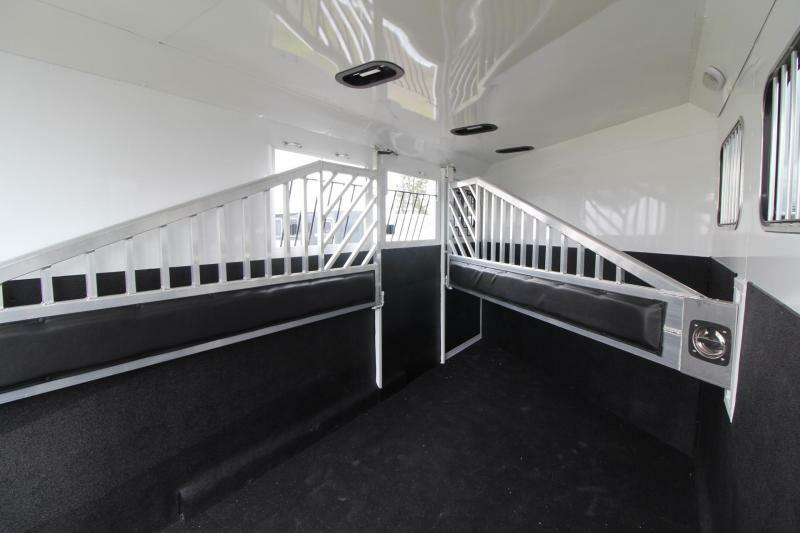 Style, highly functional, along with getting the most for your money, will make your friends envious.